When the wet ground freezes over and the rain turns into ice, the roadways can become extremely dangerous. You may lose visibility due to ice on the windshield and windows, and you'll lose traction due to ice on the ground. 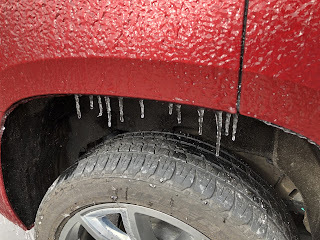 Here are some tips in dealing with freezing rain and ice on the road. First and foremost, it's vitally important to remove any ice that has formed on your car. The sometimes thick layer will mess with your depth perception/vision, causing you to become a hazard to everyone around you. That's why it's necessary to scrape off your vehicle before driving. You'll want to buy a nice, heavy duty scraper from your local hardware store. 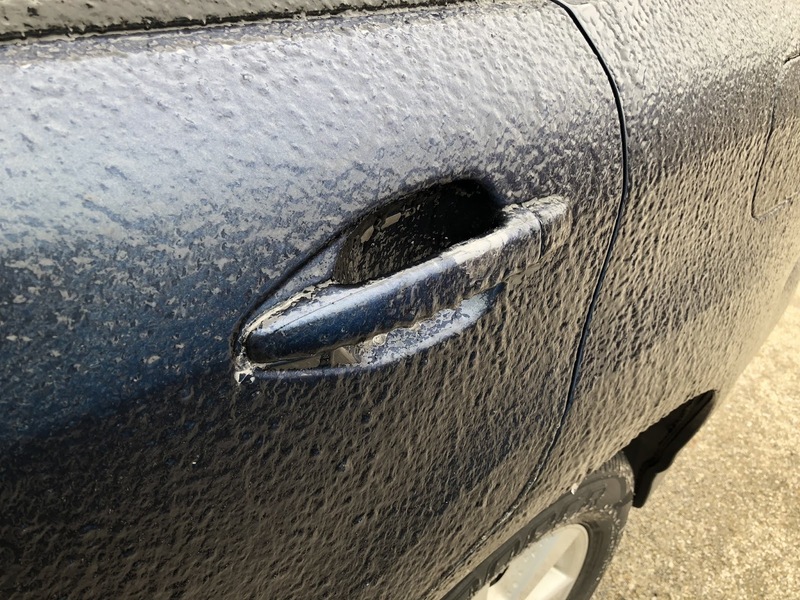 If the ice is too thick to scrape, start your car and turn on the defrost about 10-15 minutes before you plan to leave. That way, your car will heat the ice and you can remove it more easily. What would you rather pay for - the extra gas or the repairs to your crashed vehicle? Take the time to clear off any and all ice from every window. When there's ice on the roads, you're more likely than ever to skid and slide. This happens when you come to an abrupt stop. Your wheels have no traction whatsoever to catch on the ground. You'll just keep moving forward, risking an accident or going off the road. If you want to avoid stopping abruptly, then simply slow down. You might be running late for work or an appointment, but whoever's involved will understand. To prevent yourself from running late, leave 15-20 minutes earlier than you usually would. You must take into account your surroundings wherever you're going. 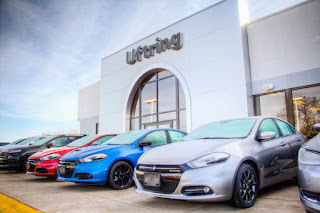 Freezing rain can hit at any time. That's why it pays to always be prepared for the worst case scenario. Should you run off the road and get stuck, pack some sand or kitty litter to put under the wheels for added traction. You'll also want to pack supplies like shovels, flashlights, de-icer, and extra gloves and a hat. You never know when you're going to need these things most. Hopefully these tips help you in dealing with freezing rain in the future. If you have any more questions, please stop by the Uftring Auto Group location closest to you in Peoria and East Peoria, Pekin, and Washington. We'd be happy to assist you further!